MICA, ZINC STEARATE, DIMETHICONE, OCTYLDODECYL STEAROYL STEARATE, CAPRYLYL GLYCOL, ETHYLHEXYLGLYCERIN, CALCIUM ALUMINUM BOROSILICATE, SYNTHETIC FLUORPHLOGOPITE, CALCIUM SODIUM BOROSILICATE, SILICA, TIN OXIDE, CI 77891 (TITANIUM DIOXIDE), CI 77491, CI 77499 (IRON OXIDES), CI 75470 (CARMINE). MICA, TALC, OCTYLDODECYL STEAROYL STEARATE, DIISOSTEARYL MALATE, CAPRYLYL GLYCOL, ETHYLHEXYLGLYCERIN, PTFE, ZINC STEARATE, SILICA, TIN OXIDE, CI 77891 (TITANIUM DIOXIDE), CI 77491, CI 77492, CI 77499 (IRON OXIDES), CI 77000 (ALUMINUM POWDER). MICA, TALC, OCTYLDODECYL STEAROYL STEARATE, DIISOSTEARYL MALATE, ZINC STEARATE, CAPRYLYL GLYCOL, ETHYLHEXYLGLYCERIN, SILICA, PTFE, CALCIUM SODIUM BOROSILICATE, CALCIUM ALUMINUM BOROSILICATE, TIN OXIDE, CI 77891 (TITANIUM DIOXIDE), CI 77491, CI 77499 (IRON OXIDES), CI 75470 (CARMINE), CI 77000 (ALUMINUM POWDER). Super-saturated pigments deliver intense color payoff that stays vibrant from pan to skin. No fading, creasing, or smudging—even without primer. 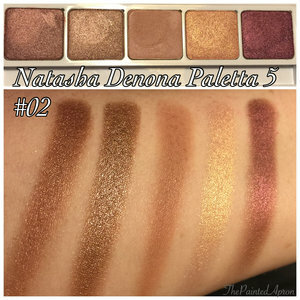 Natasha Denona's eye shadows in particular have been highly hyped by various beauty guru blogs/vids. My first impressions are that while the pigment is indeed strong; It's no more so than my favourites including, but not limited to... Charlotte Tilbury, Urban Decay, Becca, Kat Von D, or even some Wet&Wild shadows I have swatched for example - especially given the considerable cost of her 5 shadow palette alone. As a result, I will keep my ND shadow collection to this one alone unfortunately as I had higher hopes that were only made so due to respected beauty gurus opinions I enjoy and or respect. On a side note; The Body Glow oth, is gorgeous and is exactly as I hoped - a quick drying oil/cream hybrid that imports an amazing ethereal sheen... LOVE! 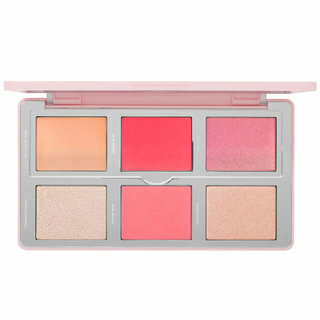 As with everything in life, makeup is extremely personal in nature regarding our unique needs and desires however; I could not (in good conscience) recommend her palettes to those that are contemplating purchase based only on its current trended hype as quality and price are no longer mutually exclusive. It's amazing how powerful the internet is and how hyping up products can create such a frenzy. Contrary to what your favorite youtube beauty gurus/insta famous accounts/etc say, you do not need these eyeshadows in your life. They want you to believe that you can't be without any of Natasha Denona's products (per their free gifts of her products) but believe me, you'll be fine without them. 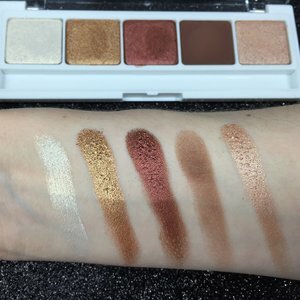 Very unimpressed with the presentation of these eyeshadows, although I've come to understand that their dollar store packaging are mainly for makeup artists to simply through in their kits so there's one reason why it looks horribly cheap. 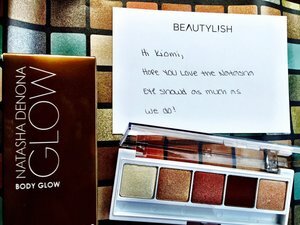 This is being targeted to mass consumers, along with MUAs of course, so in the sense of me not being an MUA I'm terribly disappointed w/the packaging and that was one of the main reasons why I returned this product (and yes, I do own Z-Palettes but these eyeshadows are VERY fragile so you have to be extra careful w/them). The shadows are very pigmented, there's no doubt about that (very similar to another brand that is quite hyped on social media but worth only a fraction of a price of Natasha's eyeshadows), but looking at the ingredients of them I'm quite skeptical why they are priced so high. For the amount these shadows are, and especially the big ones worth 200$+, you would think you were getting high grade ingredients that would turn you god-like---but it's far from the contrary. I think it's time that we all start to question things before going out and throwing our money at every hyped product the internet says we simply cannot be without. I'm giving this two stars because I like the shade range and they do look lovely on the eyes. 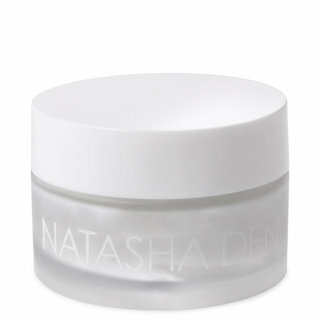 I might be interested in getting other Natasha Denona products but I won't be anytime soon. I may have been one of the only women in the world not to have been terribly excited about the launch of Natasha's eyeshadow on Beautylish. I watched a number of reviews on YouTube and everyone raved about them, but still I remained unmoved. Certainly they looked nice, and I could see the colour pay off was great, but my! All that shimmer! Could a woman of less tender years and less smooth of eyelid wear such a thing? So I passed on the chance to get early access to the 28 palettes and waited until the 5 palettes became available instead. My two (#2 & # 4) arrived yesterday. I tried them today and I'm eating my words! They are of course just beautiful and yes, a woman with less than perfectly youthful eyelids can definitely wear them. What's more they don't appear to crease either, amazing! I am no kind of make up artist, I flail around like a kid with their first paint box, yet I didn't get any fall out whatsoever. I will definitely buy more of the 5 shadow palettes to add to my collection, since the 28 palette works out at almost $400 NZ each with tax (and I would be sure to want both!) it's the only way I can collect the set bit by bit and really justify it. But they are handy for travel and the pan size is generous. For anyone still on the fence about buying, try one of the 5 palettes, you won't be disappointed. I'm blown away by the pigmentation of these eyeshadows! The pan size is great and they're absolutely beautiful. Can't recommend enough! I have 6 of the 5 shadow palettes. While the shadows are undeniably beautiful, they have very poor longevity. I have tried various primers (mac paint pots, maybelline color tattoos, nyx jumbo pencils, nars pro prime, urban decay primer potion) and no matter what , by the 4th hour, the shadows have noticeably faded/lost their vibrancy. 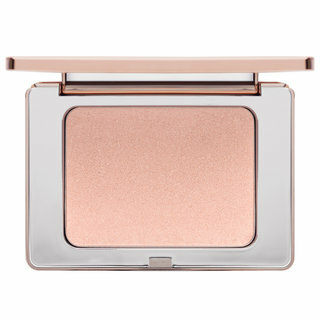 I don't have particularly oily eyelids, and most shadows last at least 6 to 8 hours on me before fading. The other issue I have is how cheap the packaging is. For the price, it should look/feel less cheaply made. Also the shadows are extremely delicate, so using them in my kit or traveling with them is completely out of the question. So from a professional standpoint, they just aren't practical. Overall I'm really disappointed with the quality of natasha denona. I would recommend viseart or charlotte tilbury over these. These shadows are gorgeous. 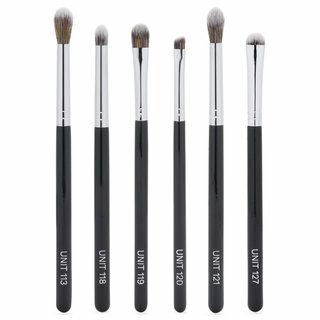 No primer needed to achieve max opacity and they stay put while maintaining the ability to blend beautifully. The star of the show is absolutely Nina's Orchid, which is such a complex pink/purple - true vivid orchid color. The gold is a glitter, no fall out. And the Aubergine matte color can lean purple to the hues of this palette or lean brown with the golds. 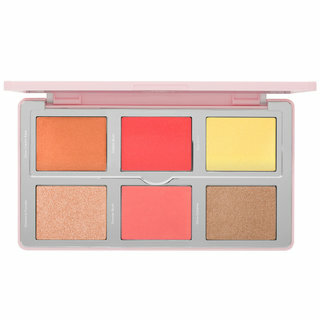 5 shades carefully thought out to give a lot of versatility. Highly recommended! With all the rave on social media about these shadows I just had to try! These are very pigmented, I expected them to be really soft, buttery and smooth - but they're not. They're actually quite solid and powdery. 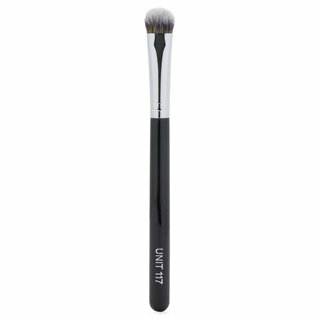 When used with dry natural bristle brushes they do have a lot of fallout. I did not give this palette a full 5 stars because of the amount of fallout and because I can't use just this palette for a full look (palette is better as an accent) I have to use other shadows to get my base. I would repurchase. I purchased Palette 07 & Palette 10. 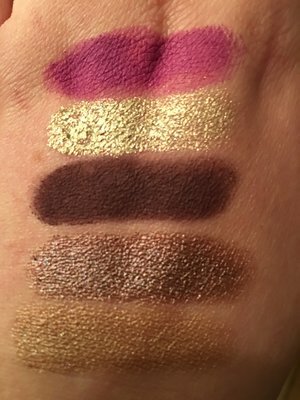 My favorite is palette 10, mostly because I love purples, and the gold in that palette is to die for. Someone reviewed saying that it is messy, but I didn't have that problem at all. Next time the 28 palettes come back, I will definitely have to get it. Overall, these palettes are amazing. Definitely worth buying! the metallic shades in both of my palettes are by far the prettiest metallics I have used. For price comparison purposes, price per ounce, these are by far cheaper than a 5 shadow MAC palette (on "sale" for $32). 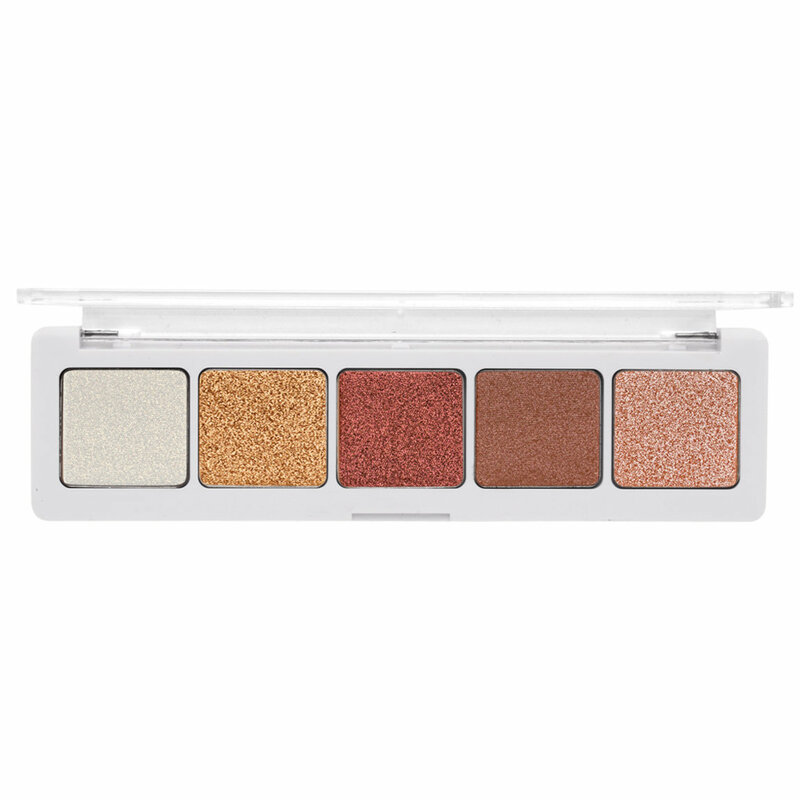 These 5 shadow palettes from Natasha are roughly $120/oz, vs the on sale mac 5 shadow palette is $228/oz. Considering that they're almost half of what a MAC palette costs, they're a steal! 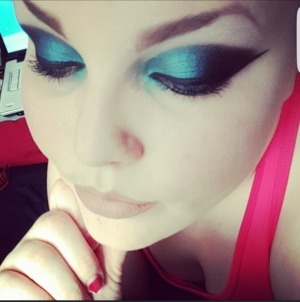 In my picture I used 2 colors from the 07 palette (powder blue and petroleum blue). These shadows are perfect if you love buttery textures and high pigment! They are infinitely blendable and wear for hours on end! I am completely in love! Seriously, give these a try!